Good morning Quick Quotes fans! 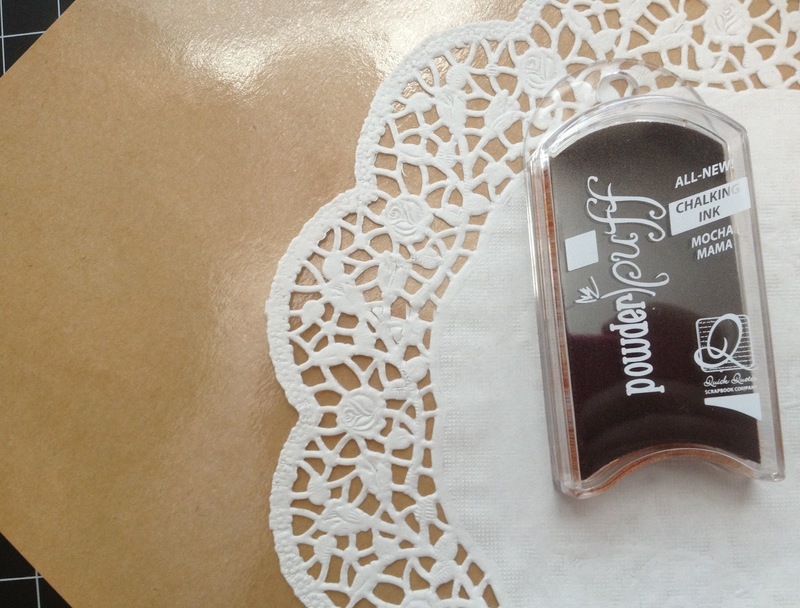 Design team member, Suzanne, here to share a project I created with our featured product: Powder Puff Chalk Inks! One of my favorite things about these inks is you can customize just about anything to coordinate with your Quick Quotes projects! 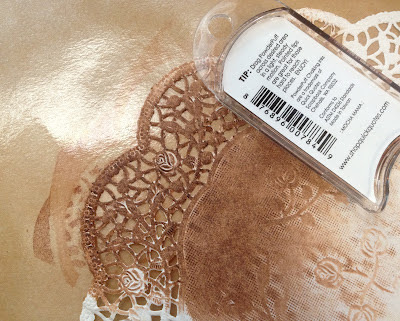 Using my "splat mat", I inked a plain white doily with our Mocha Mama Powder Puff Chalk Ink (a MUST have). These inks are the perfect size for easy handling, yet so juicy and rich you can cover A LOT of real estate. Instant transformation! Now my "Plain Jane" white doily is a all dressed up and a perfect match for the Copper Kettle collection. 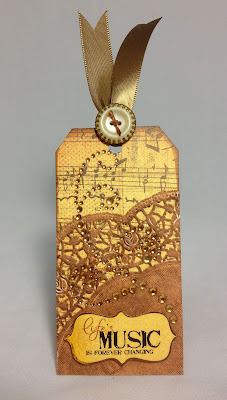 Right now, I'm hooked on making tags :) I love adding these to gifts, layouts, cards, and well... anything! I covered my tag with the Copper Kettle 200 patterned paper, inking the edges with the same Mocha Mama ink. I layered my doily in the bottom right corner. 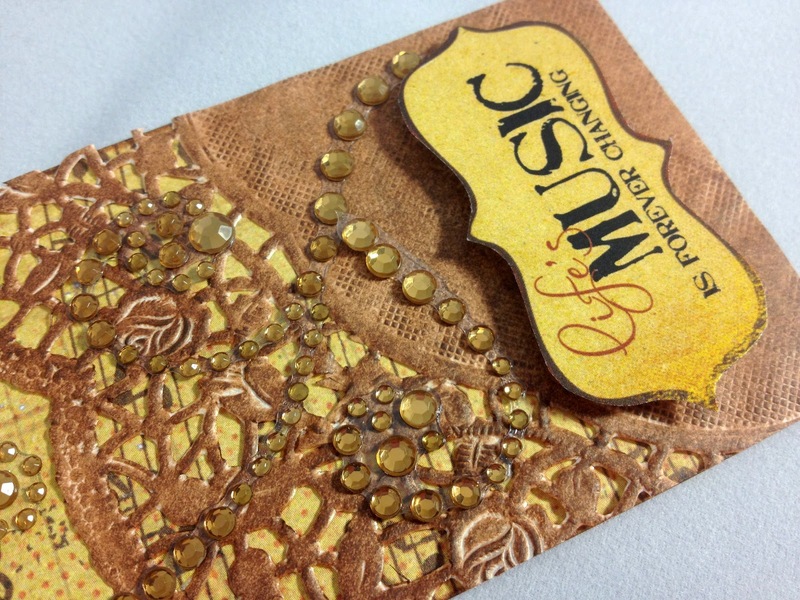 Next, I added my sentiment, fussy cut from the Copper Kettle 500 phrases paper. 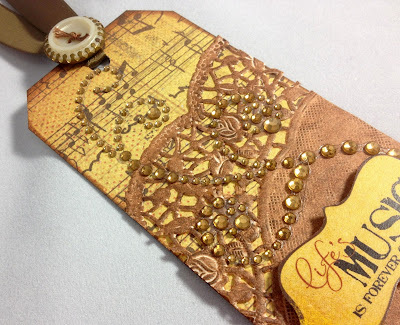 Bling was the finishing touch to bring this tag together! 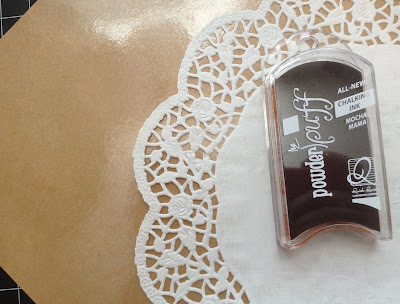 What have you altered with our Powder Puff Chalk Inks?? what an awesome tag Suzanne! thanks for the inspiration. This is gorgeous Suzanne. I love the colors. Great Tag. Love it Suzanne. Beautiful tag!! I love the way you transformed the doily into the perfectly coordinated embellishment for your tag!! So pretty! very pretty and love how you inked the doily with such a rich color! GORGEOUS!